Did you accidentally lock yourself out of your home? Are you, maybe, locked out of a bedroom in your house? The key turn in the lock, but you can’t unlock the door? We can get you back inside your house in no time! If you have reached this page, chances are that you have been locked out previously. Or maybe you’re locked out right now? 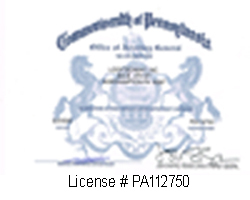 Is there any chance you’re looking for a house lockout service provided in Lehigh Valley, Pennsylvania? If so, you have found the best solution for your problem, because our locksmiths can help, soon after you call us. We have to remind you that when you hide a spare key to your home, you may pay attention that maybe someone sees you. It important to say if someone sees you, he can steal your key. LockTech24/7 offers 24/7 emergency house lockout service with a 20 min response time from the first time you call us! People lock themselves out of their homes each day. LockTech24/7’s responsibility is to get them back home as soon as possible. You never have to worry anymore, insert our phone number to your phone for any future emergency service. In any kind of scenario, whether you locked your keys in the house or your lock is broken, call us for fast service. For your convenience, we provide around the clock emergency lockout services. Whether you’re living in an apartment or your private house, we can help. Don’t hesitate to call us if you are locked out of your home, our technicians are well skilled and trained to pick locks on a daily basis. They know the latest methods and techniques to get you inside without causing any structural damage to the door or your house. 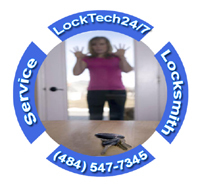 LockTech24/7 emergency house lockout service is a convenient option any time you need a professional locksmith service to unlock the door of your home, day and night. Because lockout services are required at any time, day or night, we provide 24 hours around the clock locksmith service, and upon receiving your call we will send a professional technician over as soon as possible. Our goal is to provide you with fast and efficient to ensure you go back on your day and schedule as soon as possible. Have you broke the key inside the lock? You just arrived at your house, you inserted the key and turned it to unlock the door, but the key broke inside the cylinder. You have finished your work, ran to your car and inserted the key to unlock the door of your car, but only the head of the key left in your hand and the blade of the key is stuck in the lock. It can happen to anyone and everywhere in the car, at home, or in the office. If you have reached this page, chances are that you broke your keys previously, or you found a tiny crack on your key, and you assume that it gonna break soon. If so, you have found the best solution for your problem because LockTech24/7 Locksmiths can help. 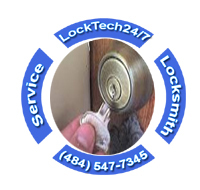 LockTech24/7 emergency locksmith services go beyond lockout services only. In fact, we provide all kind of emergency locksmith services related lock, key, and lockout problems. Our emergency locksmith services available 24 hours a day, 7 days a week, including weekends and high holiday. We can reach your location with our mobile locksmith shop, and perform work on site. Don’t hesitate to call us anytime you need emergency locksmith services, day or night.